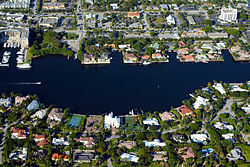 Delray Beach is a coastal city in Palm Beach County, Florida, United States. As of the 2010 census, the city had a total population of 60,522. The population was estimated at 65,055 in 2014. Delray Beach is part of the Miami metropolitan area.